Karli experienced depression and self-esteem issues after being assaulted and burned. She lost her identity, her boyfriend, and her life as she knew it. Adjusting to her new life as a burn survivor at just 23 years old was difficult to say the least. She shares her experiences as a mother, burn survivor, and role model for young women. Whether it’s a cringe worthy story of being ridiculed by strangers or a heartwarming story of receiving support and compassion from those she least expected it, her experiences are sure to move you. Over time, Karli learned to handle the stares, jokes, and intrusive questions with grace and humor. She uses the term “burned beauty” as a metaphor for her experiences. 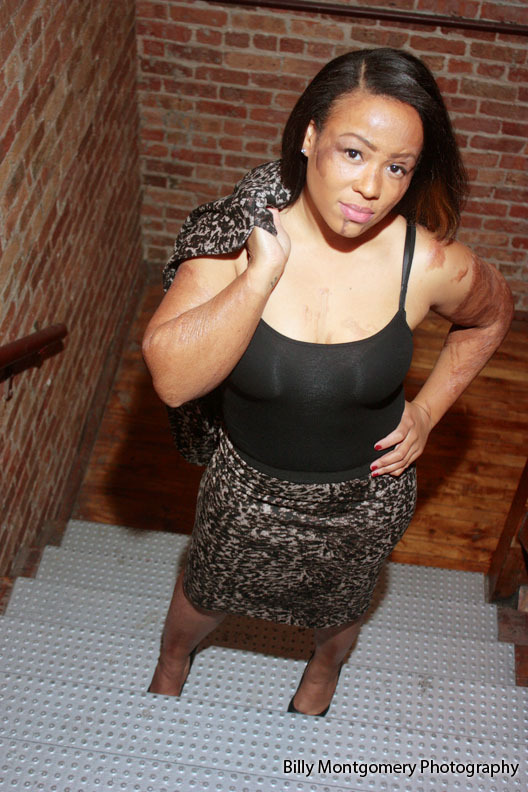 First, she wants people to know that confidence and beauty can co-exist with burns/scars. “Burned Beauty” also has special meaning to her because of what she experienced after her trauma. Imagine a phoenix, the mythological bird that every so often throws itself into fire and arises from the ashes a newer, better version of itself. Karli explains that after she was attacked she had to burn all of her preconceived ideas of what beauty meant to her (among other things like success, love, and failure). Because after it all she rose from the ashes a better version of herself, scars and all. Let Karli help you to redefine beauty, success, love, and failure in your life.